Rice Pilaf (Rizi Pilafi), from the Greek word “ὄρυζα” (oryza), is one of the easiest side dishes, made with long grain white rice and stock. It takes about 10 – 20 minutes to cook, depending on the variety and it a great side dish to any meat dish with a red or white sauce. The Greek word is the source of all European words (cf. Welsh reis, German Reis, Lithuanian ryžiai, Serbo-Croatian riža, Polish ryż, Dutch rijst, Hungarian rizs, Romanian orez). During the 13th century the word “rice” is first used in English which derives from the Old French ris, which comes from Italian riso, in turn from the Latin oriza. Some vegetables (peas, carrots, corn, peppers etc.,) which are cooked separately, can also be mixed in the rice pilaf as well. Pilaf, has its origin from the Persian pilau also called polao, pilav, pilaff, plov or pulao in other languages. One of the earliest literary references to pilau can be found in the histories of Alexander the Great when describing Bactrian hospitality. Bactria was an eastern province in Greater Iran, probably the birthplace of Alexander’s wife Roxana. Rice is also described by Theophrastus ( 371 – 287 b.C..), in his Enquiry into Plants. Dioskourides and Galinos knew about the medicinal properties of rice and until today rice soups and desserts such as ryzogalo (rice pudding) are good for the stomach. Bactria was an eastern Persian (Iranian) province, which was the birthplace of Alexander’s wife Roxana and geographically located in modern Afghanistan. Rice was introduced to Greece (where it is still cultivated in Macedonia and Thrace), by the army of Alexander the Great who brought it back with them when returning from Bactria to Macedonia. Bring the chicken stock or water with bouillon to boil and add salt. Add the rice and cook for about 10 – 20 minutes (according to package instructions), on low temperature. Remove from the heat and mix in the butter or margarine. For extra taste, mix in some finely chopped parsley. Boil the vegetables in salted water, until soft. Drain and mix them in the rice. 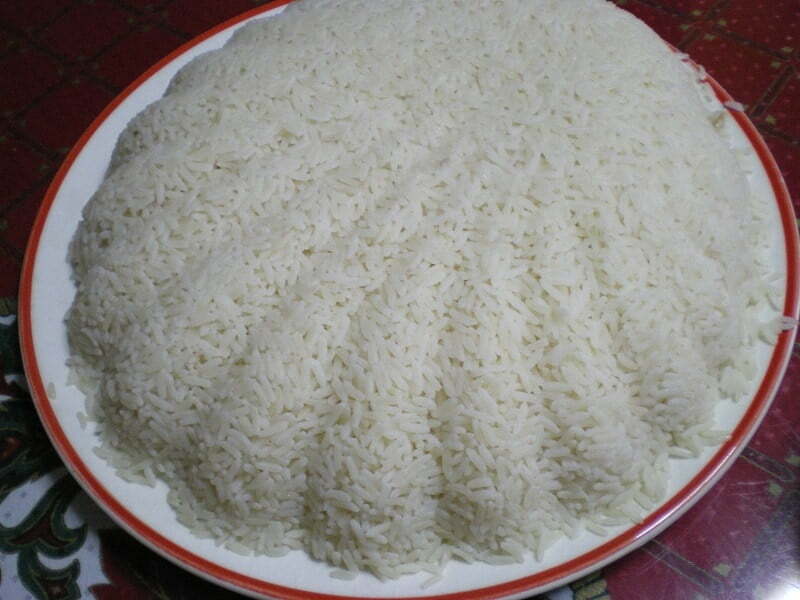 For this amount of rice, 1 cup of vegetables is enough. Rice Pilaf (Rizi Pilafi), is one of the easiest side dishes, made with long grain white rice and stock. It takes about 20 minutes to cook and it a great side dish to any meat dish with a red or white sauce. Add the rice and cook for about 10 - 20 minutes (according to packagee instructions), on low temperature. Previous Post: « How to keep your herbs fresh!